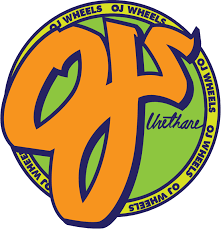 Super Juice - the evolution of OJ's super classic Hot Juice cruiser wheel-- is finally here! Straight out of lab, Super Juice features a new reinforced plastic core and completely redesigned chip-resistant shape, all on our classic ultra buttery 78a urethane. Super Juice comes in black, red, white, orange, blue and green. Blaze all terrains.